Smart Cover miraculously camouflages dark purple bruises, and practically anything else you wish to hide. There are certain times when even tattoos need to disappear. Nobody is perfect. We all want to hide something. We are self-conscious of our dark eye circles, acne blemishes, age spots, birthmarks, Vitiligo, varicose veins and spider veins. I bruise easily, especially on my arms and legs. I feel embarrassed when my bare arms and legs are showing. 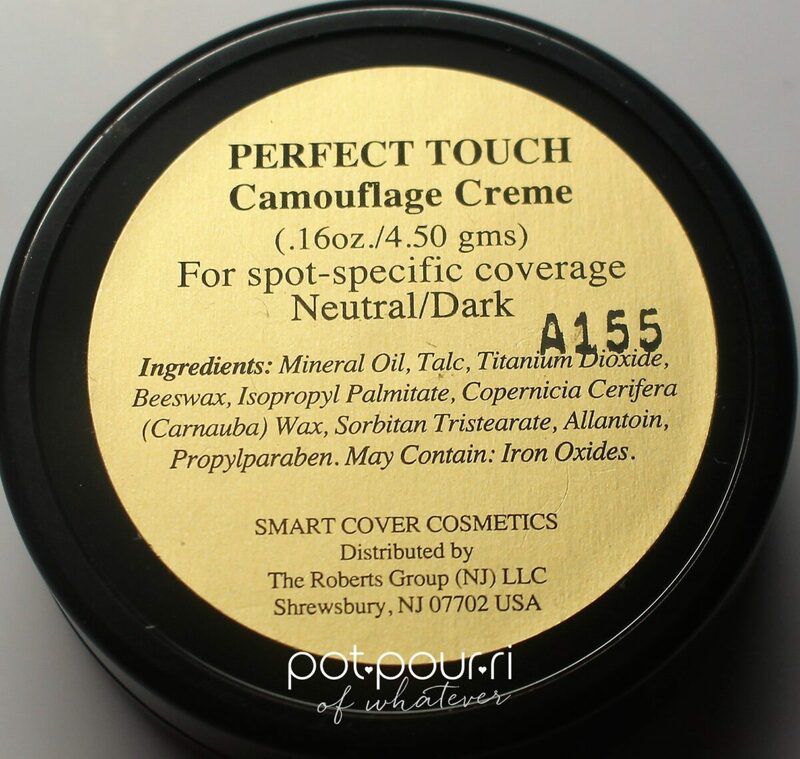 Smart Cover is the creation of camouflage queen, Flori Roberts. 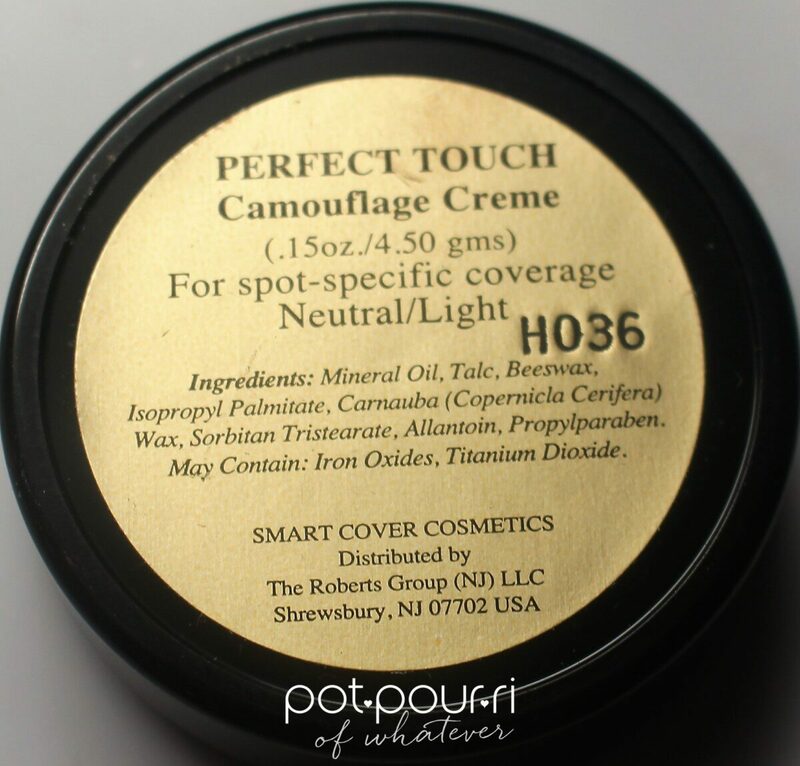 Prior to creating Smart Cover, Flori was the original creator of the now famous camouflage, Dermablend. 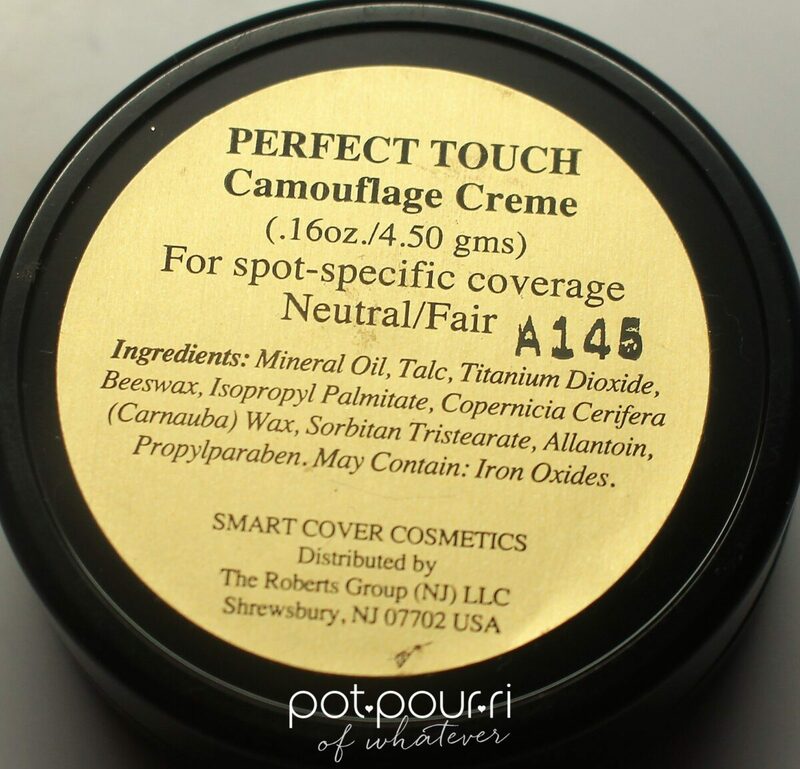 Flori has continued to improve her camouflage creams and through new technology the Smart Cover Camouflage creams are easier to use, more convenient for the user, and longer lasting. The Smart Cover Team deals exclusively with these magical camouflaging concealers. Now you see it, and now you don’t -like magic. The three types of concealers sold on The Smart Cover. Com Website,(click here for the link). Because the concealers are sold only on the website, there are different ways to purchase the products. First, there is a starter kit which contains ten pieces. It includes three shades so you can custom match your skintone (because you can’t color-match it in a store). The starter kit includes ten products in a travel bag. 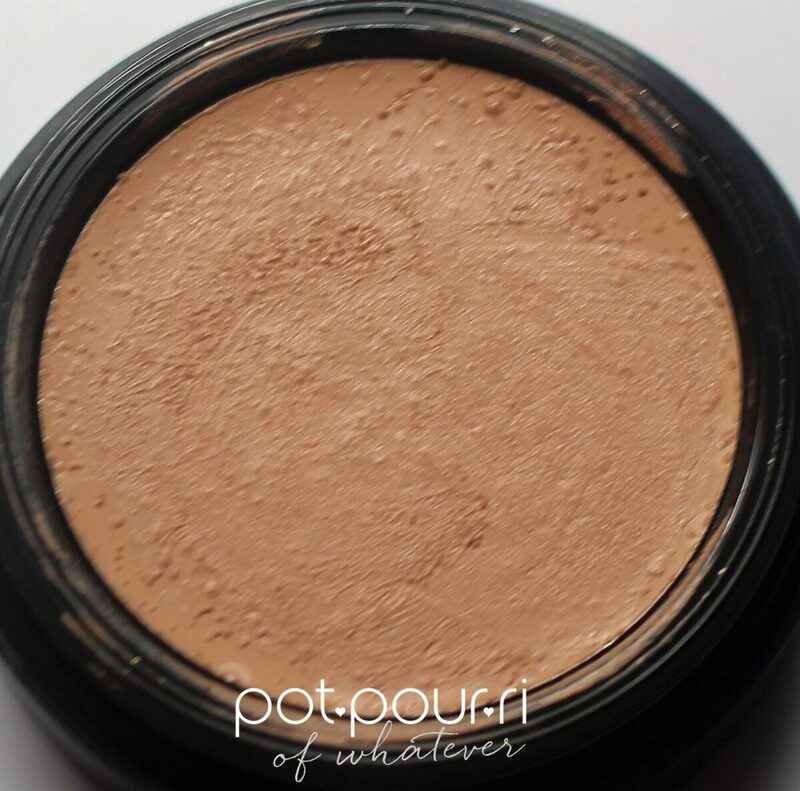 It has everything you need to conceal minor and major skin imperfections on both your face and body. The kit also contains three shades of concealing cream in order that you can color match your imperfection. ( Always match the concealer with the skin near the imperfection). The three concealing cream shades in the light kit are: light beige, medium beige and golden tan. The three concealing cream shades in the dark kit are : golden tan, dark tan, and deep tan. The Deluxe Starter Kit is a $150.70 value and sells for ($38.95). Smart Cover Concealers are in the movies! 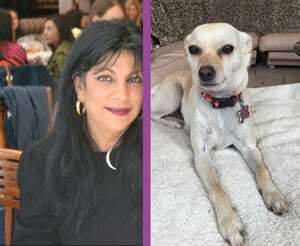 The Smart Cover team worked closely with two time Academy Award Nominee Christina Smith, who has done makeup for the movies and television, for actresses such as Helen Mirren, Liza Minelli, Milla Jojovich, and Jamie Lee Curtis. Christina curated this kit with her favorite, can’t live without, products. Hollywood Kit ($79.95). It is a great value because the kit is worth $283. The Hollywood Kit also contains bronzer, setting powder, skincare, and all you need to cover imperfections on the face or body Hollywood style! The Cover Stick is if you want a no fuss, no muss application. It can be applied just like a lipstick. 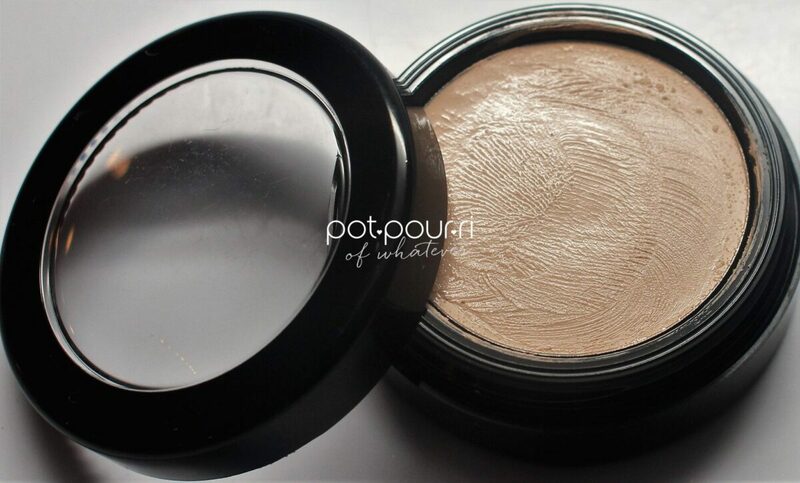 The formula has a creamy base and also includes concentrated pigments that work well on dark circles. The stick is perfect for getting into the nooks and crannies of your face, like in the corner of the eye, and around the nose. The Smart Cover Stick comes in one neutral shade, neutral beige. 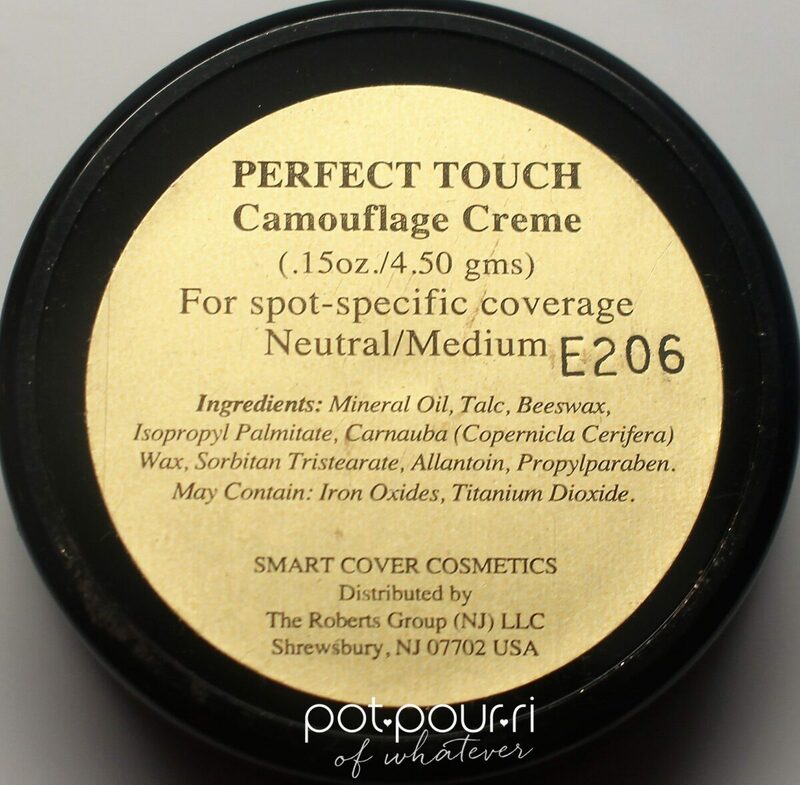 Perfect Touch Camouflage Cream is creamy so it blends easily to hide imperfections. If you have a specific spot on your face, you need to hide, it does an amazing job. It doesn’t seep into wrinkles and fine lines, therefore women with mature skin love to use this as a foundation. The Camouflage Cream covers Laser redness, Rosacea. Scars. and the visible signs of aging, and the list goes on and on. It can be used on the face and body because of new long-lasting technology. It is smudge and water resistant. The application is easy due to the creamy, smooth quick and easy way it spreads. It lasts until you take it off. The color corrector is a stark white shade in the same formula as the concealing cream. 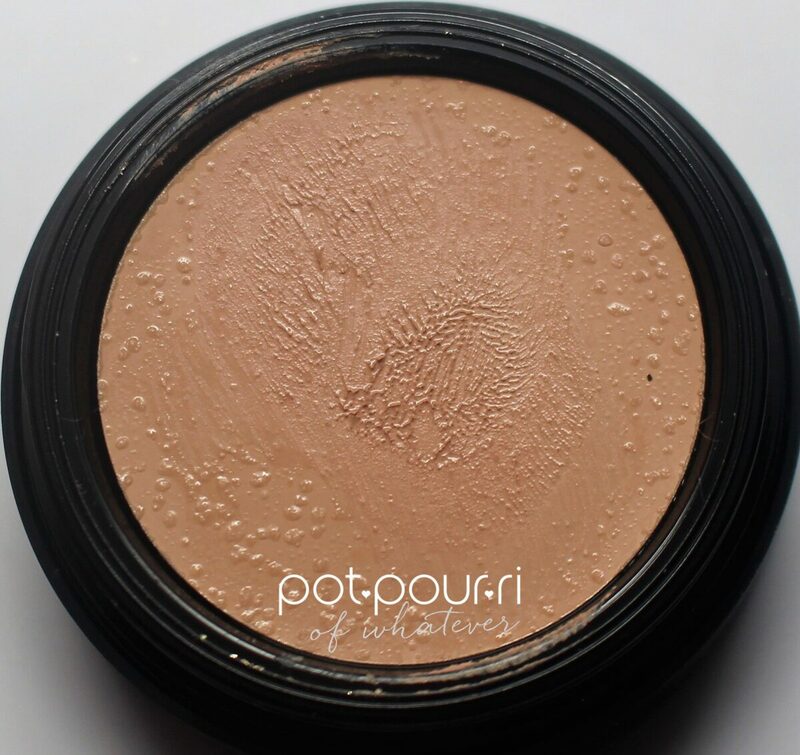 It is designed to make any of the concealing cream shades lighter, so that your shade will match your skin. The magic of the Concealing Cream is that it is a one step concealer, that goes on creamy and dries to a matte finish in three to five minutes. You do not need setting powder after your application as you would need with the original concealer, Dermablend. The concealing cream covers everything from dark circles, scars, birthmarks, blemishes, age spots, tattoos and more. Last, my son shows off a horrible rash on the front of his arm. It is also on his back. After rubbing the concealing cream on the front of the arm, wait for 3-5 minutes for it to dry down. Then reapply the concealing cream as needed. The results are incredible! Next, we applied the concealing cream to the two places the rash appears on the back. The results are amazing! That’s what I think! What do you think about these amazing results? I can’t stress enough how easy and quick Smart Cover is to use. I also love the great value of the kits, which make it all the more easy to work with the concealers to color-match to your specific skin, without having to try it on in a store. We all have, or will have, something to hide sooner or later. When we look great, we gain confidence and strength, which makes us feel fabulous. Smart cover is the absolute must, to have in your bag of tricks, when you’re looking for perfection!